Photos taken in Golden Gate Park, San Francisco. Visit Wild Bird Wednesday for more great birding photography. Great photo of a beautiful little bird. Great job on getting those birdies to pose for you. Such a pretty wee thing; obviously one doesn't see them around here...and, as always, you did such a lovely job with your subject. 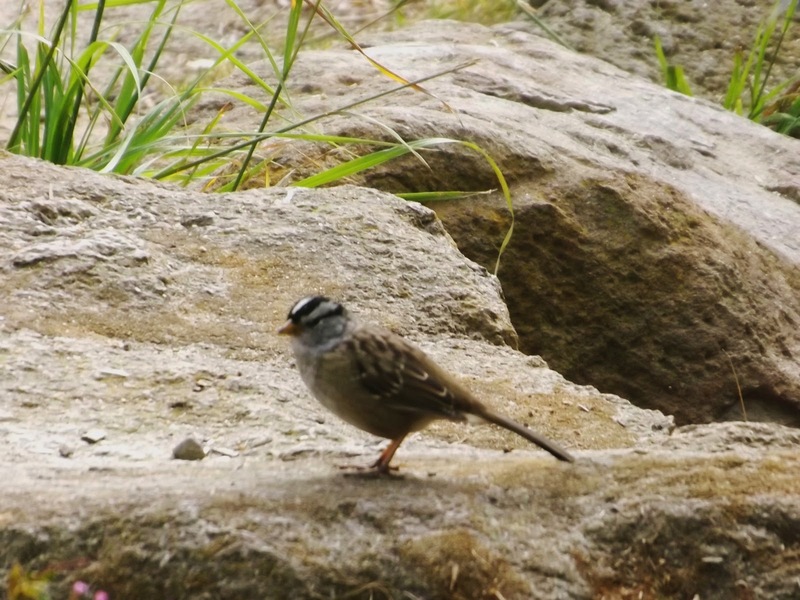 This white crowned sparrow is adorable, and great capture, Jo! Fantastic images. Sparrows are a most difficult bird to capture through the lens...well done. Hope to see you stop by to visit with me for viewing of my Silent Silhouettes I've shared. Lovley shots. That's a new bird for me, so thanks for showing.